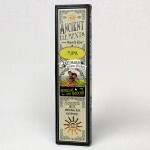 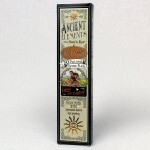 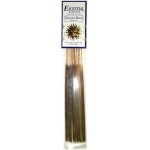 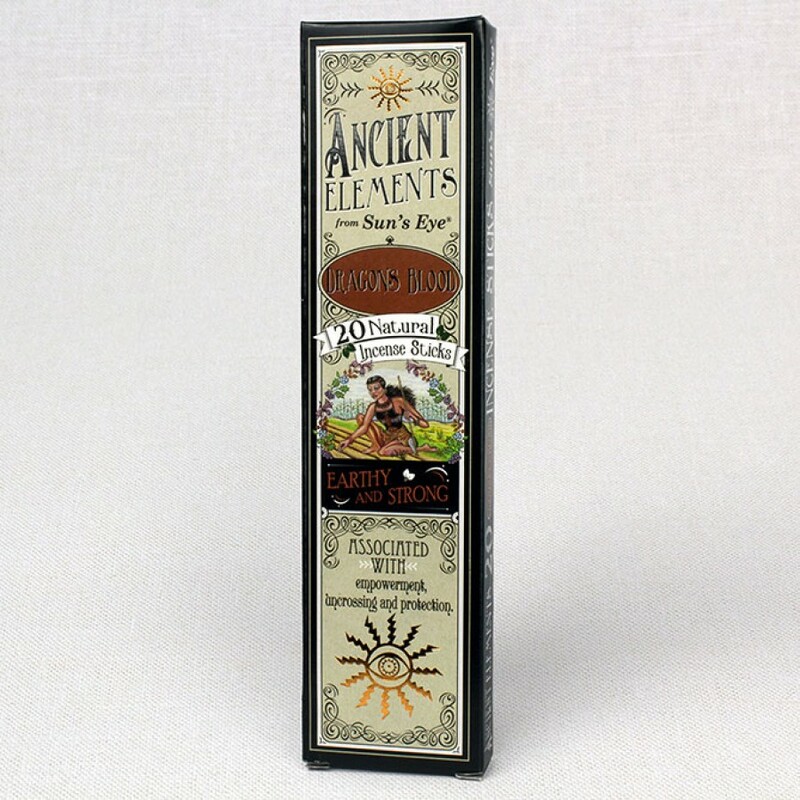 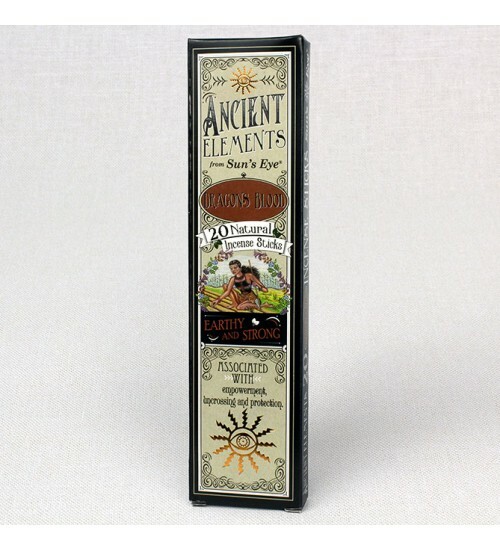 Ancient Elements Dragon’s Blood Incense, earthy and strong, is formulated to promote empowerment, uncrossing, and protection. 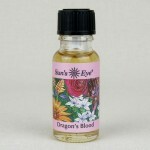 Note: No dragons were harmed in the making of this incense - Dragon's Blood is a tree resin and does not contain blood. 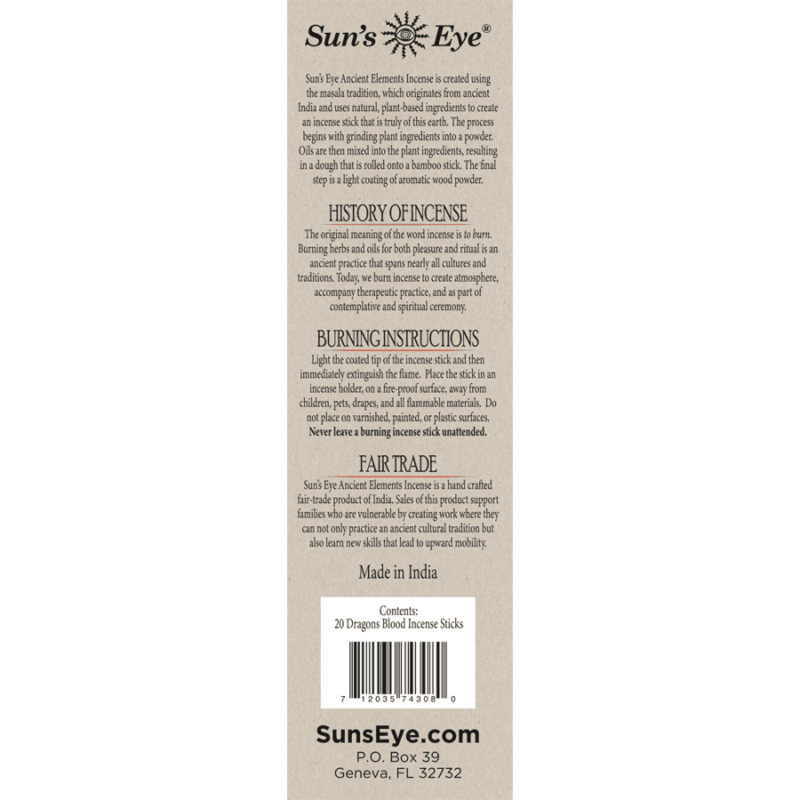 Item Number: SE-IDR | Approximate Size (Inches): 3.00 wide x 0.25 deep x 8.00 high | Approximate Shipping Weight: 0.25 lbs.